Summertime brings fun, full days with your kiddos home. You’ll spend lots of time outdoors and fending off their “I’m bored” cries. No matter what you have planned this summer, getting into the kitchen with your kids is a great way to have fun together and teach them a new skill. However, summer also means you don’t want to turn on the oven to bake. Let your kids help in the kitchen with these 12 No-bake summer treats that won’t heat up your home! My kids favorite to make is the Fruity Pebbles parfait, but they are always willing to help no matter what recipe we pick. So what are you waiting for? Read on and grab a few new recipes to try this summer! This post is sponsored by Foodie.com. All opinions are my own. You can easily collect your favorite summer recipes by adding them to your own Foodie.com collections. I’ve added these recipes to my own collection board so you can easily collect your favorites to your own board. Browse the collection here or click to head over and see the whole collection. You now have lots of yummy treats to keep you cool or to satisfy your sweet tooth all summer long. Do you go for rich chocolate treats, fruity and fun, or cool and refreshing? I like a little bit of all of the above. 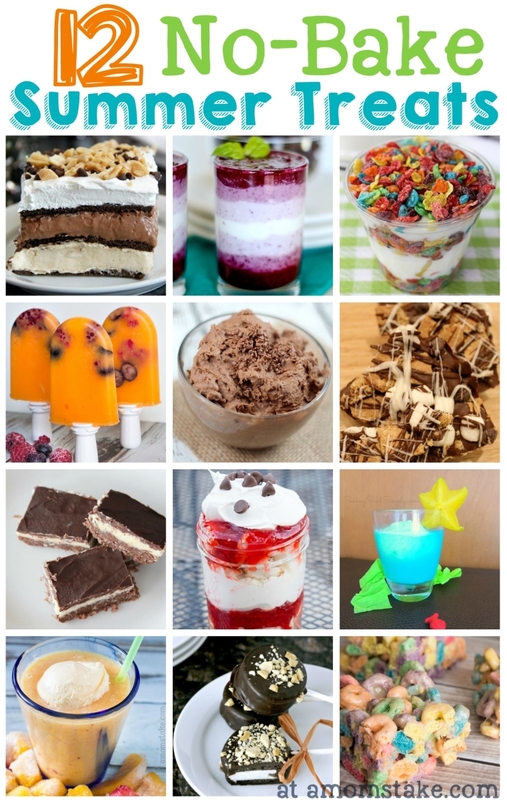 Which of these No-Bake Summer Treats do you want make? My oven seems to have a mind of it’s own from time to time :/ I love no bakes! They are my go-tos when I have to take a dessert to a gathering, no fail… right?? I’m so pinning this for future reference! These look great! Some new recipes to try with the children for Kids and a Mom in the Kitchen this summer. Thanks for sharing. No-Bake Peanut Butter Chocolate Lasagna. OMG I must be hungry because these all sound amazing! Book marking this page for sure! I love all of these ideas to make desserts without having to turn on the hot over during the summer!!! Our new oven does not arrive till next week, these recipes are perfect! Peanut Butter Chocolate Lasagna would last about 5 minutes at a family gathering. Great ideas!